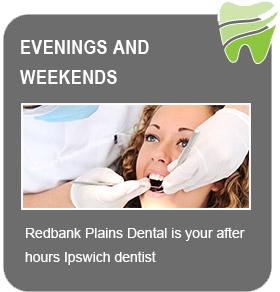 Redbank and Ipswich Dentist – At Redbank Plains Dental Dr Lakh Sangha, Dr Quinn Vu, and the fantastic support team provide gentle and precise dental care for Redbank Plains and the entire Ipswich region. At Redbank Plains Dental, we perform all types of dentistry and offer our valued patients, personalised treatments with the highest level of customer care. We understand that every patient is different and has different needs and goals from their dental experience. This is why we provide a variety of different dentists in our modern dental practice so you can choose the best local dentist for you. Explore our dental practice right now with our 360 virtual tour! Waiting room, front desk, dentist’s chairs – you can see it all so that you know just what to expect when you come visit us for an appointment. We’re proud of the look and feel – see for yourself! As members choice for MBP, TUH, HCF, AHM, Smile. 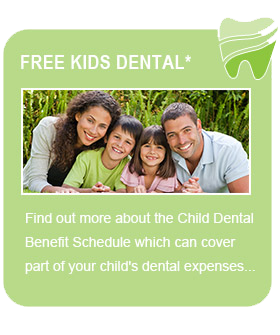 You and your family can be guaranteed to receive the maximum rebate possible. We offer a wide range of General, Preventive, Cosmetic and restorative dental treatments and focus on contemporary, advanced and efficient care. Our practice sees the entire family from the young to the forever young, to educate and help patients maintain optimum oral health. Our friendly team at Redbank Plains Dental are dedicated to helping you maintain good oral health to keep you and your family smiling! While we offer a comprehensive range of treatment, we are also focused on the prevention of oral diseases such as tooth decay and gum disease to ensure you have a healthy mouth for life! When treatment is necessary, our experienced dentists will ensure that you are well informed of your options and will always deliver the highest standard of care tailored especially for you and your needs. All our dentists are locally trained and always strive to be on the forefront of advancing technology in dentistry to ensure that you receive only the best dentistry has to offer. The staff at Redbank Plains Dental understand that coming to the dentist can sometimes be a daunting thought but you can be assured that our friendly team will take all the time necessary to make your experience with us a comfortable and pleasant one from start to finish. Your smile is important to our Ipswich dentists! We are open late evenings, Saturdays and have appointments free every day to take emergencies. 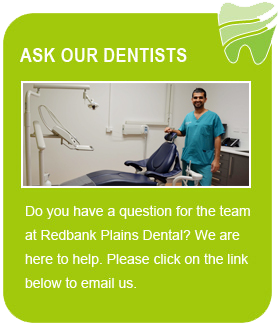 Our team of dental professionals welcomes you to experience the difference at Redbank Plains Dental. To book an appointment with our highly trained professionals, contact us today.